Quest Castle Hill is a 4.5 star serviced apartment property providing the newest accommodation in The Hills District and is purpose built to offer guests maximum flexibility and comfort. 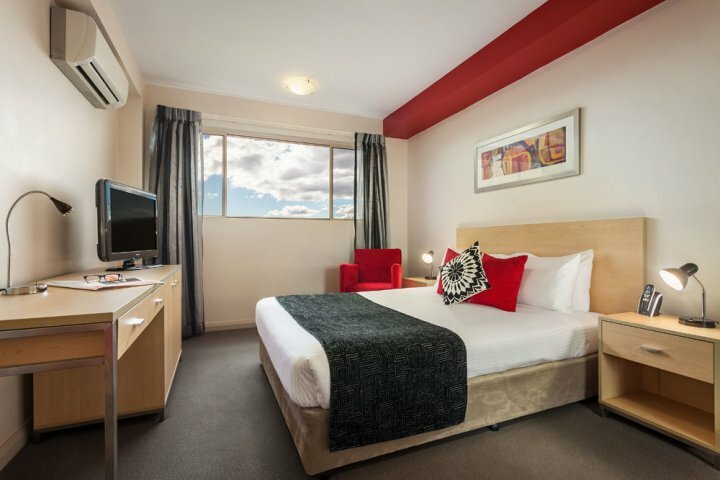 Offering a range of studio, 1, 2 and 3 bedroom apartments with flexible bedding configurations, self catering facilities, and complimentary undercover car parking Quest Castle Hill is ideal for both the business and leisure traveller. 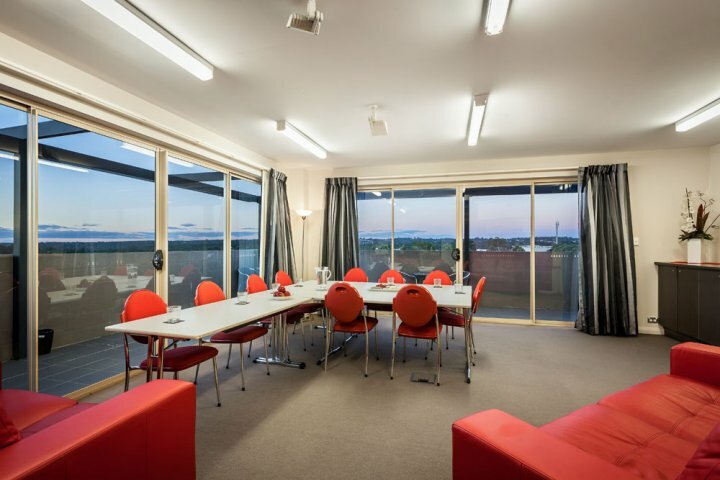 All apartments provide the comfort of reverse cycle climate control, direct dial phones with voice mail, FOXTEL, DVD players, separate working desk, and broadband internet connection. 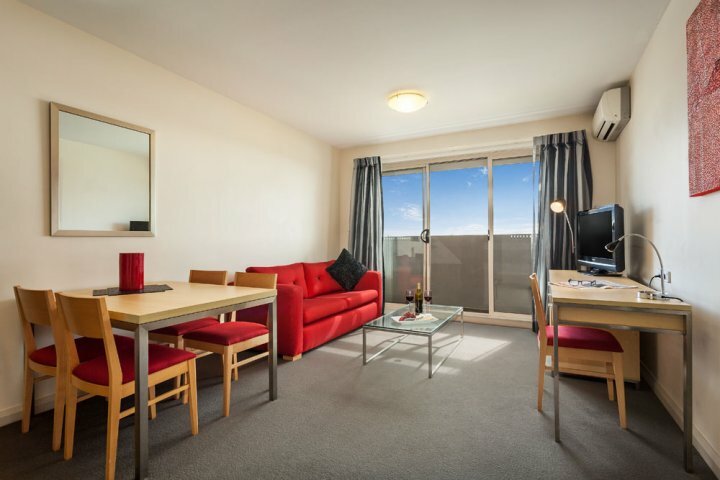 (Extra charges apply) Apart from studios, all of our apartments also feature separate living and dining areas, fully equipped kitchen, laundry and private balcony. 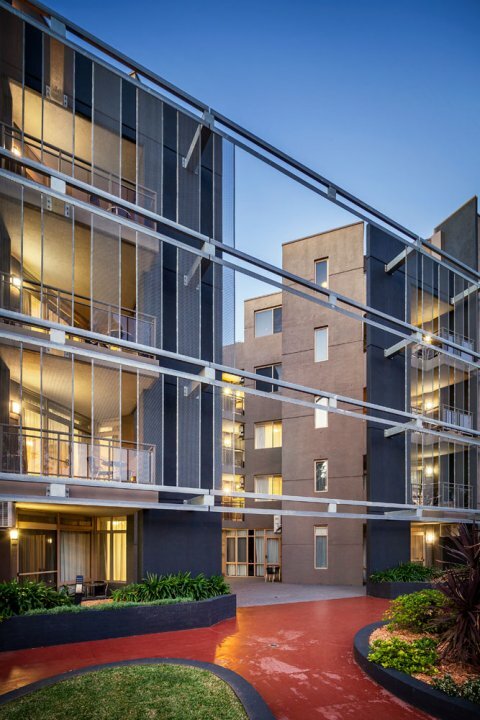 Located in the beautiful Sydney Hills District, Quest Castle Hill is within the Castle Hill Trading Zone and just minutes away from the prestigious Norwest Business Park. Its all on your doorstep at Quest Castle Hill! 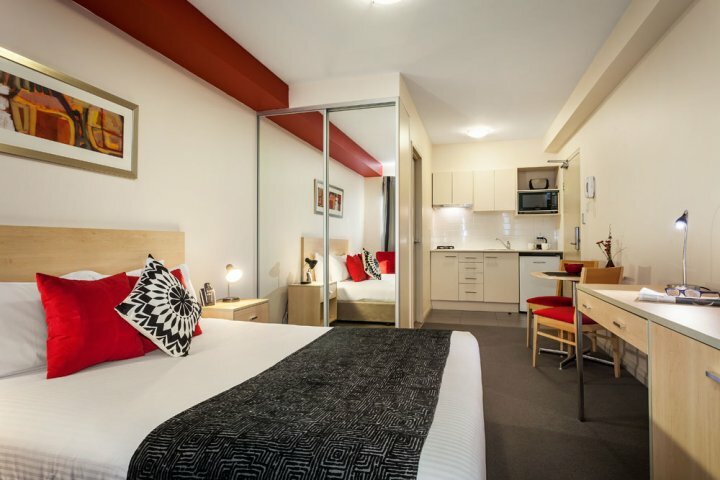 A spacious apartment suitable for up to 3 guests in a range of bedding options(standard bedding is a queen size bed with other options available subject to availability). Rooms include full kitchen, laundry and balcony. NON SMOKING APARTMENT Rates are for 2 people. Extra adults $30.00. Extra children $30.00. The room caters for a maximum of 3 adults, and a maximum of 2 children but cannot exceed 3 guests in total. Available bedding configurations 1 Queen OR +$20.00 2 singles OR +$20.00 1 Queen and 1 sofa OR +$20.00 2 singles and 1 sofa. Ideal for families, or a cost effective option for colleagues to share, our spacious apartments are suitable for up to 5 guests.Standard bedding configuration is 2 queen beds with other options available subject to availabity. ROOM IS NON SMOKING. Rates are for 4 people. Extra adults $30.00. Extra children $30.00. The room caters for a maximum of 5 adults, and a maximum of 4 children but cannot exceed 5 guests in total. Available bedding configurations 2 Queens OR +$20.00 1 Queen and 2 singles. Ideal for extended families and sporting groups, our 3 bedroom apartments are suitable for up to 6 people in a flexible range of bedding configurations.Standard bedding is 2 queen & 2 singles with other options subject to availabitity. NON SMOKING Rates are for 6 people. The room caters for a maximum of 6 adults, and a maximum of 5 children but cannot exceed 6 guests in total. Available bedding configurations 3 Queens OR 2 Queens and 2 singles OR +$20.00 1 Queen and 4 singles. A convenient alternative to a hotel room for short term stays. 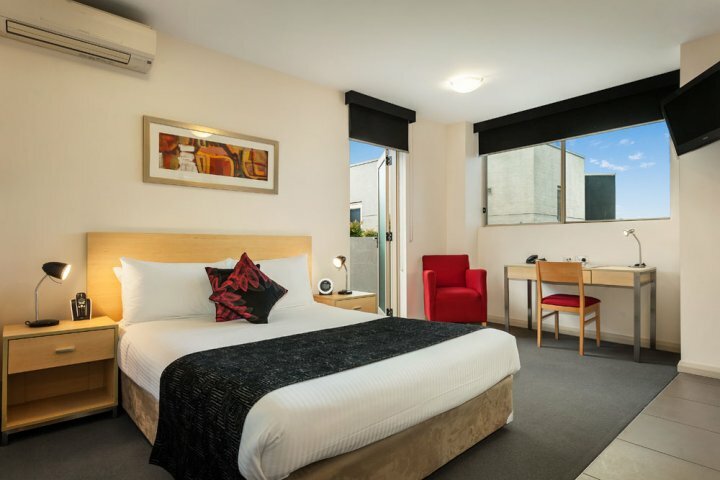 Suitable for up to 2 people in a queen size(standard), king size or two single beds(subject to availability). Rooms include kitchenette facilities. NON SMOKING APARTMENT. Rates are for 2 people. The room caters for a maximum of 2 adults, and a maximum of 1 child but cannot exceed 2 guests in total. Available bedding configurations 1 Queen OR +$20.00 2 singles. 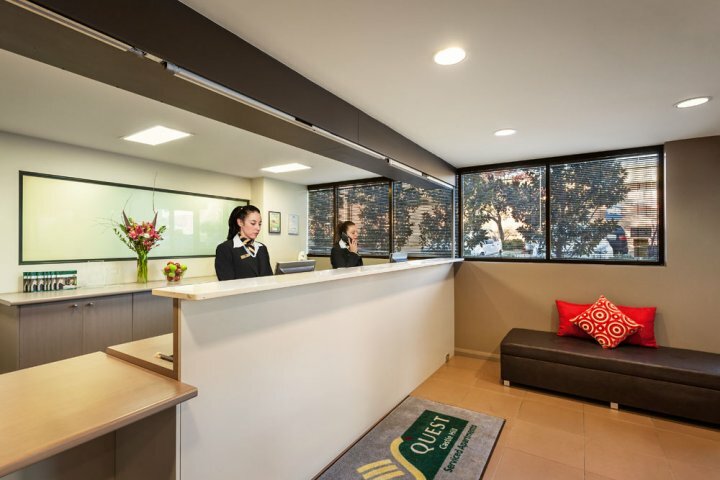 Designed with the business traveller in mind, all apartments at Quest Castle Hill feature wireless internet connection (Extra Charges Apply) and separate working desk. Fax, photocopying and typing services are available at reception and a versatile meeting room provides for up to 24 conference delegates in comfort. Close to Norwest Business Park and the Castle Hill Trading Zone, were in the location you need to be, so doing business in the Hills District is easy. Reception is open from 7am-11pm. Both early and late check-ins are available on request (subject to availability and additional charges may apply). An onsite manager is also available after hours for guest security. Complimentary onsite parking is provided in our secure undercover car park. From the airport, follow the signs to the Eastern Distributor (Freeway). Take the Harbour Bridge Tunnel and follow the signs to Epping/North Ryde via Epping road and the M2 Motorway (Toll $3.80). From the M2, take the Windsor Road Exit to Baulkham Hills turning right at the traffic lights. Follow Windsor Road for approximately 5 kms. Turn right onto Victoria Avenue and then left at the roundabout onto Gladstone Road. Castle Hill is on the left hand side. If guests are travelling from a different direction, please call the property direct to confirm details( the property can be quite tricky to find). Wondabowl Ten Pin Bowling, Castle Towers Shopping Mall, Castle Hill Show Ground, Koala Park at Featherdale Wildlife Park, Ice Skating at the Sydney Ice Arena, Isis Health Club and Gymnasium, Parklea Markets, Castle Hill Country Club, The Edge Adventure Centre, Hillsong Christian Life Centre, Numerous Wedding and function centres close by, Kellyville Netball Centre, Valentine Soccer Park, Restaurants, Clubs, Bars and entertainment!